Do you see angels everywhere? Here's a delightful pic I thought I'd share. 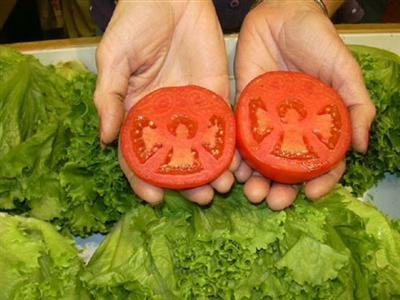 When this tomato was cut open a perfect pair of angel shapes was revealed. Another sign from the angels perhaps? Are there different kinds of angels?